Well what can I say other than - "You all certainly love your bling"!!! an Allsorts world record!! (at the moment). Thank you to everyone who played along. You certainly kept us on our toes visiting you all. The challenge was very kindly sponsored by Digistamp Boutique and Sally-Ann donated a wonderful prize of £10 to spend in the on-line store. (Thanks again Sally-Ann). So who is the lucky winner chosen by random org who can have a lovely shopping spree? These were so hard to choose because there were so many lovely entries. I would have liked a top 30 at least!! Please take your "I made the Top 5" blinkie and wear it on your blog with pride. Once again, thank you to everyone who entered my challenge. Emma will be along soon with another challenge and hopefully you will all have time to play along again. Have a lovely weekend everyone - happy crafting. Those are all such awesome cards! I hope to be able to be this good someday! I can´t believe that I´m the winner of this wonderful price. Thanks a lot. I´ve send you an Email. WOW! 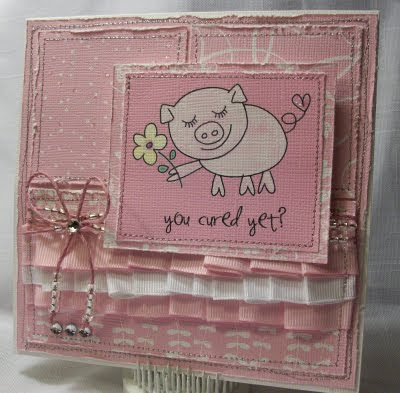 Thank you so much for choosing my card for the top 5! 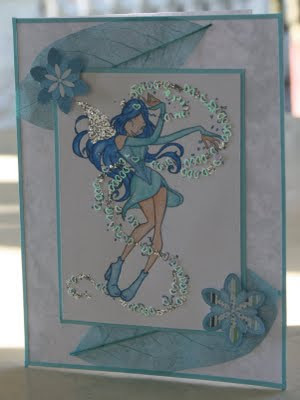 I am so honored to see my card among these stunning creations! You made my day! Great cards ladies. Congratulations to all. I made it at the top 5! Thank you so much for recognizing my work! Allsort is my first award!